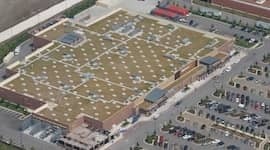 Roof size, style, environmental requirements and even sustainability advantages—such as those delivered by green roofs—are all factors that should be taken into consideration prior to embarking on any roofing or waterproofing project. When you begin to plan for your next waterproofing project, you’ll likely think of a number of ways you can customize it and become overwhelmed by a seemingly endless list of details. Simply put, waterproofing systems must be designed and constructed properly to avert substantial risk and ensure the longevity of your project. Here are five waterproofing tips you should be thinking about prior to initiating your next roofing project. With the growing popularity of green roofs and plaza deck designs that feature soil, plants and planters, waterproofing systems on your rooftop are now more important than ever before.The soil, plants and planters sit atop a horizontal surface, which makes it difficult for water to drain to low points and results in ponding water. A properly designed waterproofing system can promote drainage, thus preventing hydrostatic pressure (the pressure caused by standing water) from damaging your roof. Shockingly, one cubic foot of water that pools on your roof can weigh up to 62.4 pounds, making a vertical inch of water in a square foot weigh about five pounds.This can quickly add up to be a significant amount of weight that can easily damage your roof or create a leak. Waterproofing systems are like other roofing systems in that there are two basic types to choose from: loose-laid and adhered. It’s important to select the system type that makes sense for your project to ensure optimal performance and results. Loose-laid means that pieces of the roofing system are simply laid on top of one other to create a layered waterproofing assembly.The bonded components of Adhered assemblies can offer performance advantages. Loose-laid systems are lightweight, less expensive, faster and easier to install. Focusing on details in the design phase is key for delivering best life cycle cost and performance.Therefore, keeping quality control in mind while designing and constructing the waterproofing assembly is important. The superior physical properties bring the greatest value for waterproofing applications. Our membranes offer vastly greater resistance to puncture, tear, and tensile stresses that can cause other waterproofing membrane to be damaged or fail. Waterproofing systems are built to last, and that saves you money. Our waterproofing membrane systems are manufactured and certified to last for more than 30 years, and compatible for use with electronic leak detection (ELD) for QA/QC purposes. At FiberTite, we understand that having a single vendor that can supply all of your waterproofing and roofing system materials also saves you time and money. We are positioned to integrate both systems as a comprehensive package to benefit your project. What type of waterproofing system do your prefer? Tell us about you experience in the comments.